Most dentists and dental practices do not have a link to their Google+ account on their website. 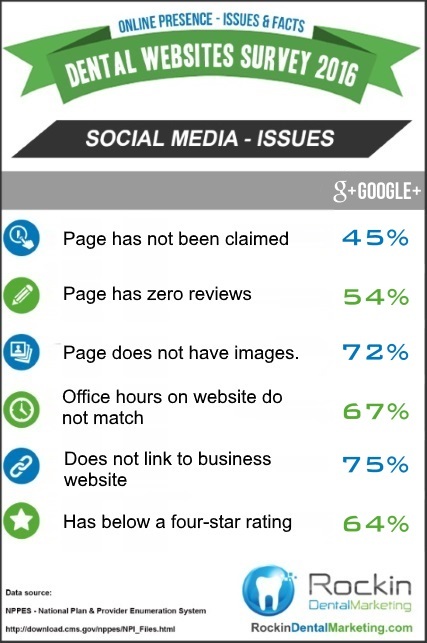 Google+ pages are commonly the least managed social media account for dentists and dental practices, particularly in the areas of reviews, images and ratings. Claim your Google+ page to verify to potential patients that your account and its reviews are definitely for your business. Don’t let your hard work go to waste! And don’t let your account go unattended! Make sure to add images so patients can get a feel for your office. It helps to make it seem more relatable and comforting, which is especially important for dental practices. We’re constantly battling the popular fear of dentists. Once you draw more clients in, ask them to review you on Google+ to increase your rating, traffic and visibility. 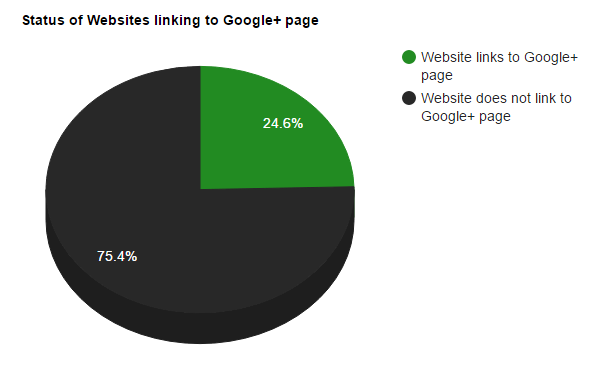 75% of dental websites do not have links to their Google+ page. 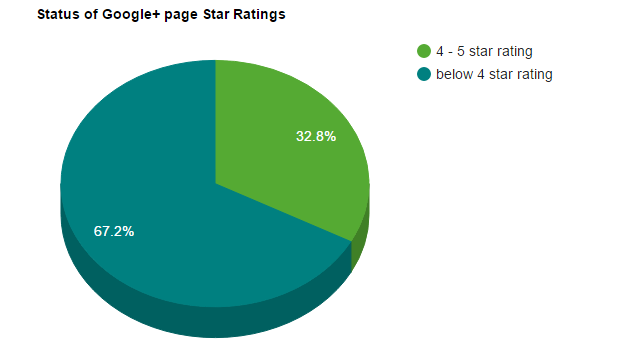 67% of dental Google+ pages have below 4 star rating. 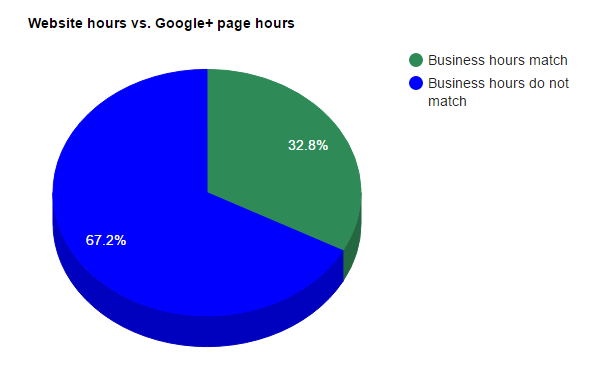 67% of dental website business hours do not match their Google+ page business hours. 72% of dental Google+ pages do not have images. Over half of all dental offices do not have Google+ pages. 45% of dental Google+ profile pages have not been claimed. To read more about our results, return to the State of Dental Marketing article. For more information on optimizing your online presence, read about dental SEO marketing here.